Why don’t the Indians and Chinese of Silicon Valley build a better Silicon Valley in their own countries? If you read the book “Troublemakers”, you would find the reason. 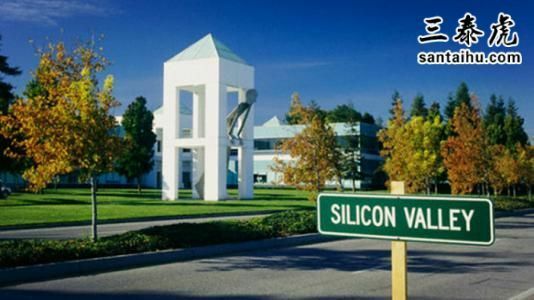 Silicon Valley is special because it has many generations of companies that have succeeded and whose founders then coached the next generation of companies. An ecosystem of this scale took more than a whole human lifetime grow. In fact, many of the founders of Generation 2 Silicon Valley companies are either very old men or dead. China’s version is in Shenzhen but they are on a second generation of companies while Silicon Valley has something like 5 or 6 generations. Bangalore in India is on generation 2 at best. So come back in 10 years time and we most likely will be on a third generation of Chinese and Indian companies. Then they will start rivaling Silicon Valley. India stands third after USA and UK for having highest number of tech startup. Second after USA for having healthcare startups. India might overtake UK by 2018 but USA never. India and UK sees around 5000 new startups every year but USA alone sees 68000. USA alone contributes 13% of Healthcare startups as opposed to next country India's 4%. Now what's depressing for Indians is USA alone contributes to 12% startups of the world. USA has money. The largest number of HNIs. An average startup valued at $10 mn as compared to India's 2.5. In simple words USA is rich. India is dirt poor. USA has the environment that foster creativity. India doesn't. (Highly alarming) Indian society kills creativity in one or another way. USA has great infrastructure. India has lol. USA has great banking structure. India has lol. Inspire of all these lols, problems, poverty and the society that kills the creativity we still managed to be third in tech startups and 2nd in med tech. That's good. But as they say Miles ahead we are miles ahead we will go. The Chinese people have supposedly built a “Silicon Valley” in Shenzhen. While Shenzhen does have quite an impressive tech scene, I still don’t think it really equals Silicon Valley as far as international effect is concerned. A lot of China’s tech miracles are confined to their massive domestic market of over 1.4 billion consumers. Chinese tech companies are still having a difficult time localizing their operations, marketing, and products for overseas markets. I suspect that many Indians find jobs in the USA because their prospects there aren’t bad. Microsoft’s CEO is Indian. I think Google’s current CEO is also Indian. Pay and benefits will obviously exceed those in India. Trump’s harsh rhetoric towards foreigners may cause an impact, though. Most notable tech companies in the USA have vigorously opposed his immigration and visa policies — because they know how valuable these pools of foreign talent can be.